Euro Hostel offers cheap, comfortable and convenient accommodation in Newcastle upon Tyne's city centre. You can count on Newcastle to give you a trip to remember. Euro Hostel Newcastle provides comfort, convenience and cost effective rooms and suites only 5 minutes from the recently refurbed Grey's Quarter, with its luxury retailers and restaurants with rooftop views. Tucked just around the corner is High Bridge Street, home to stylish gin bars, artisan cafes, independent shops and The Stand Comedy Club – a fail-safe venue for a group night out. From coastline to culture, there's something for everyone and we're sure you already know Newcastle's nightlife is hard to beat! If you haven’t experienced it yet, what are you waiting for?! 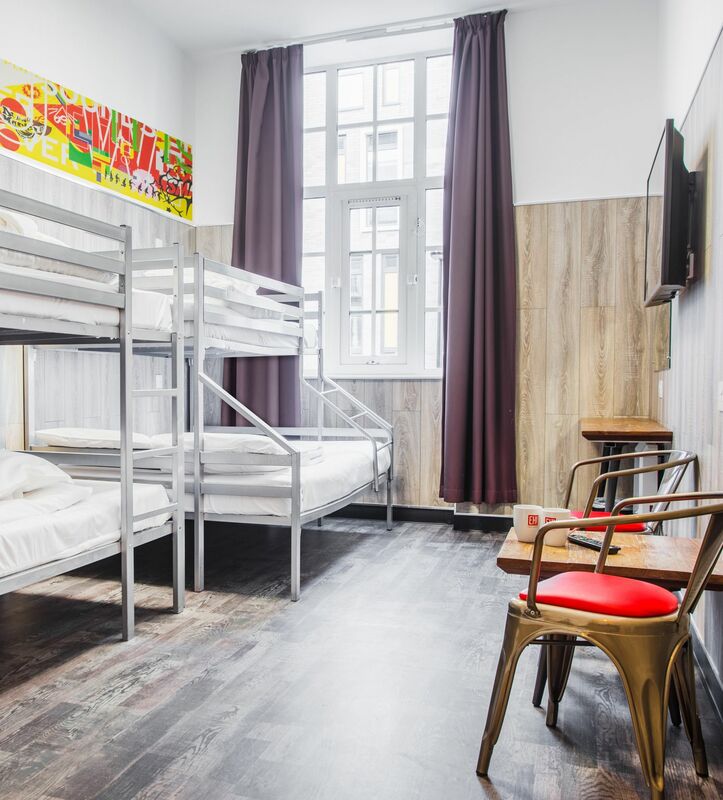 Whether you want to sample the original hostel experience in our shared dorms, or prefer a little more personal space in our private rooms and suites, Euro Hostel is the place to stay in Newcastle. Lone travelers, couples, families and groups can relax in our en-suite rooms, each with free, superfast Wi-Fi and a large smart TV. Our ‘Bunkalow’ Suite is perfect for groups of lads and lasses, and can accommodate up to 14 people comfortably. It has a private lounge area and tons of space. Geordies are rightly proud of their city, so we champion locally brewed ales, along with a selection of draught beers and ciders in our bar. Our cocktail list is massive and features established favourites and house specialties, such as The Ware Wolf. Join us for great value pub grub, to watch the sport on our big screens or catch a gig. You can even book a V.I.P. Booth to start your night off, with exclusive drink offers and table service. 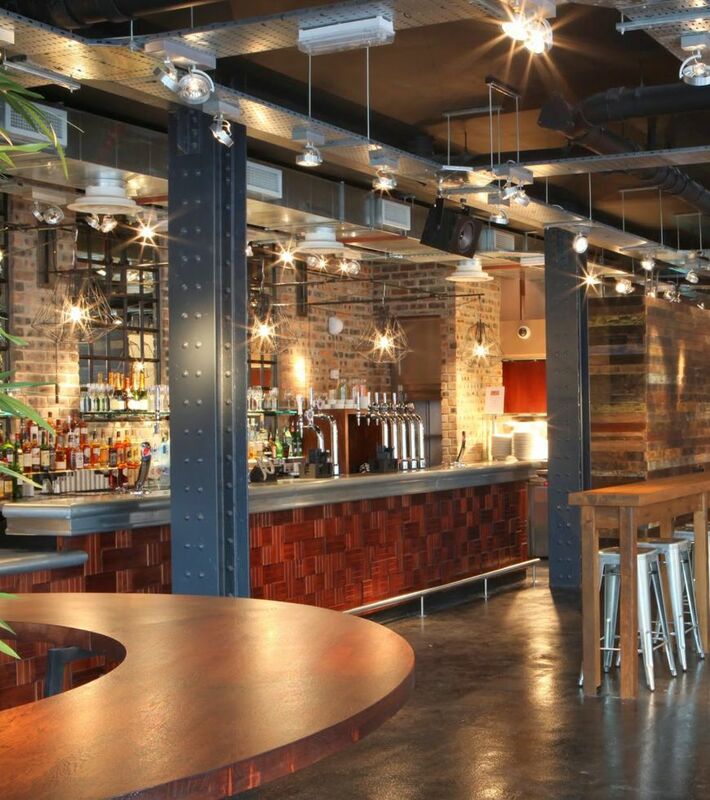 The Ware Rooms is an ideal venue for your party too! Euro Hostel Newcastle is located in the heart of the City Centre. It's just 10 minutes from Central Station and 3 minutes from Monument Metro Station. The newly refurbished Grey's Quarter at Eldon Square is only 5 minutes from our front door. You can count on Newcastle to give you a trip to remember! 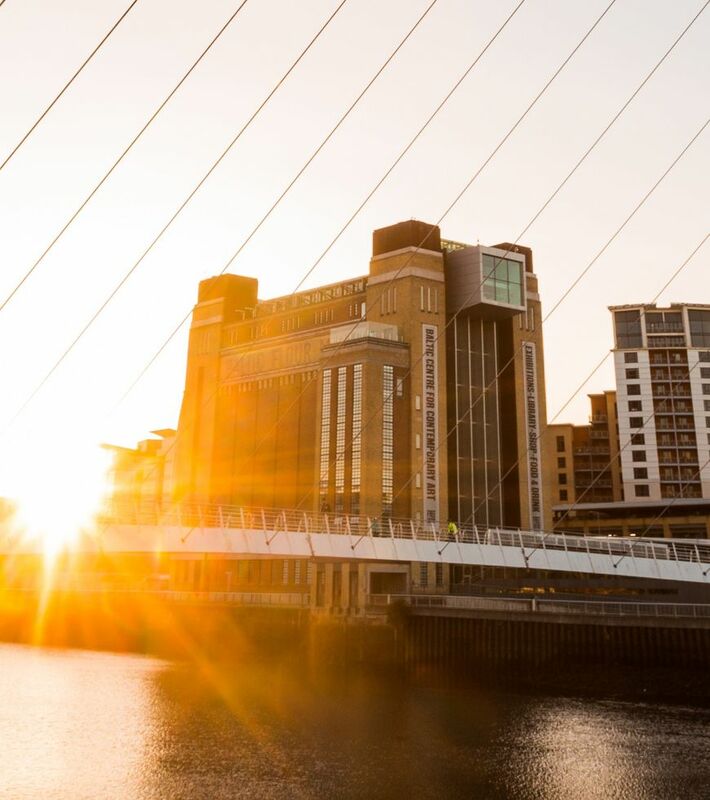 Renowned for its Geordie friendliness, Newcastle is a city where you won’t feel lost for long. Let us give you some insight into the Toon's best bars, quirky hangouts and notorious nightlife. Head to our FAQs page to find out our most commonly asked questions about Euro Hostel Newcastle.